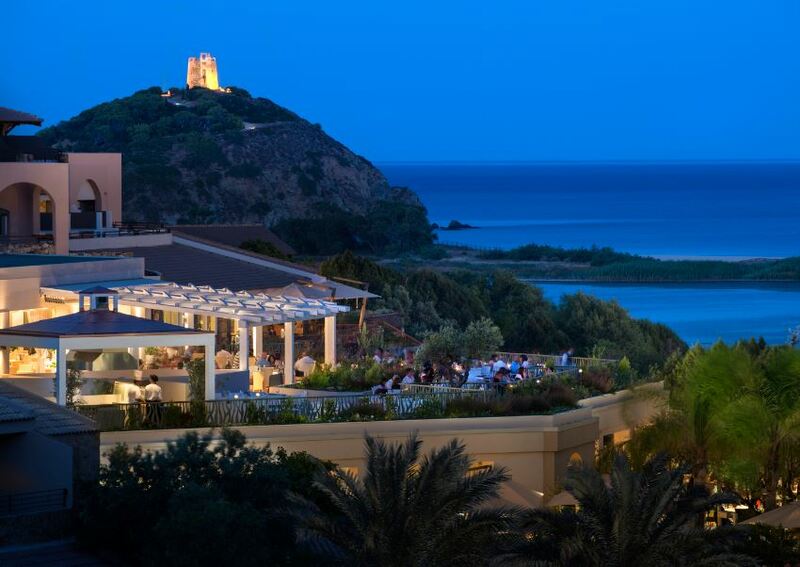 A true jewel in the Mediterranean, this 5 star hotel offers everything that the discerning guest could possibly wish for. Stunning white sandy beaches and the crystal clear waters of the Mediterranean are all here to be enjoyed. The resort boasts three hotels and the Hotel Village. The Village offers 240 rooms furnished in Mediterranean style, the central pool and the new club house, a short walk from the main resort amenities: restaurants, a kids club, beach train, the lively Piazza degli Ulivi and Chia Natural Spa . 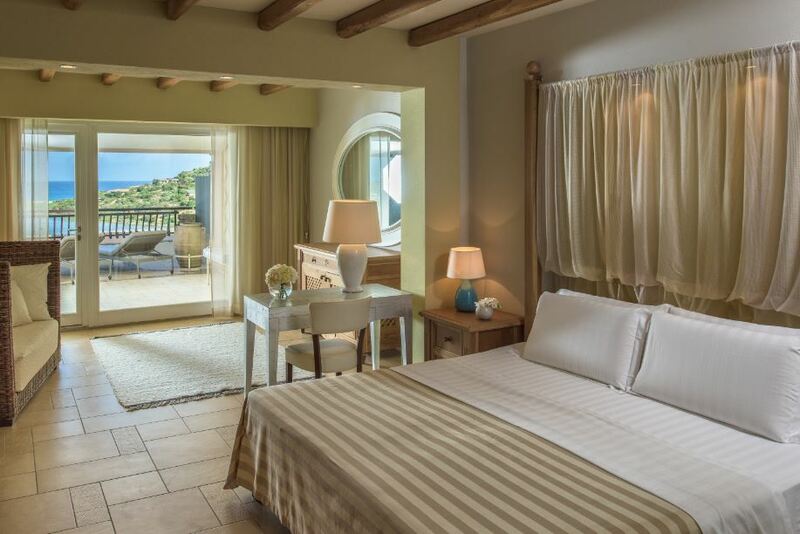 Elegance and charm characterize the 74 rooms of the Hotel Laguna, the terraces of which you can enjoy views of Chia: the lagoon populated by pink flamingos, the rolling dunes lapping the golden sand beach and the beautiful turquoise sea. 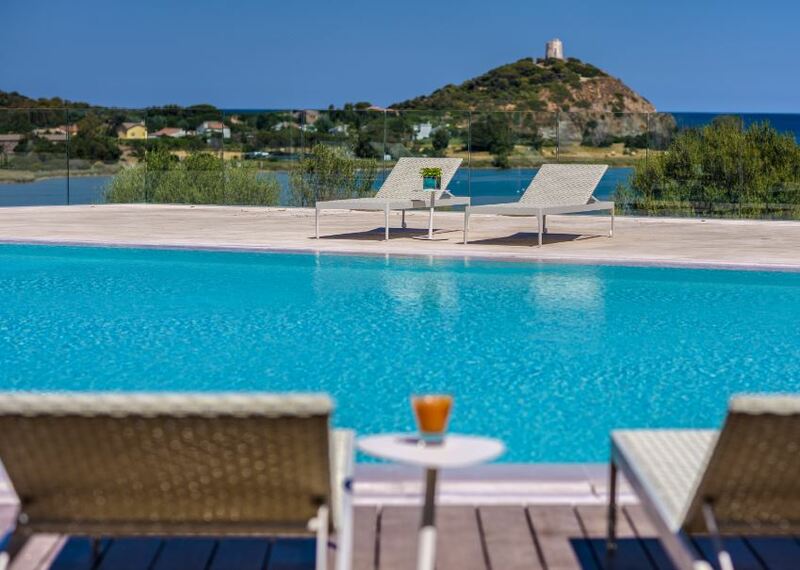 Hotel Baia, the recently renovated hotel now boats 80 bedrooms, offering guests a breathtaking view of the splendid Chia beach, lightly touched by the crystal-clear Sardinian sea. 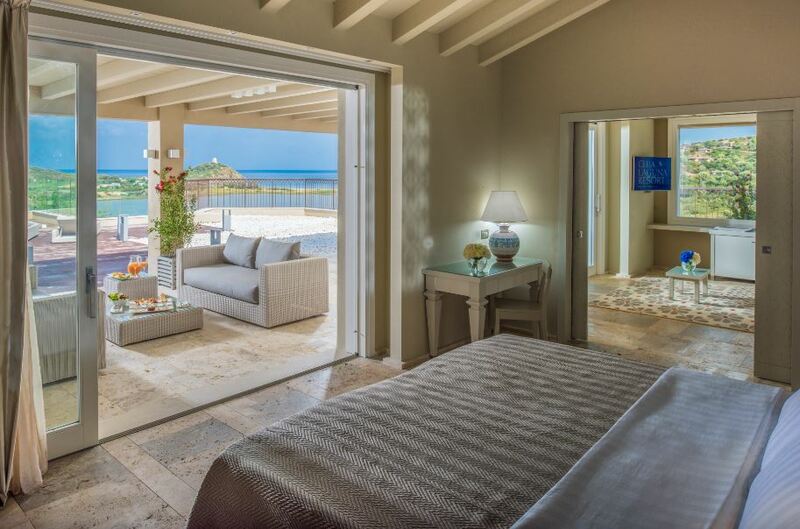 Rediscover the pleasure of a relaxing holiday, to live in total peace and privacy. The hotel has a new reception area, new nature trails and Olympic swimming pool. 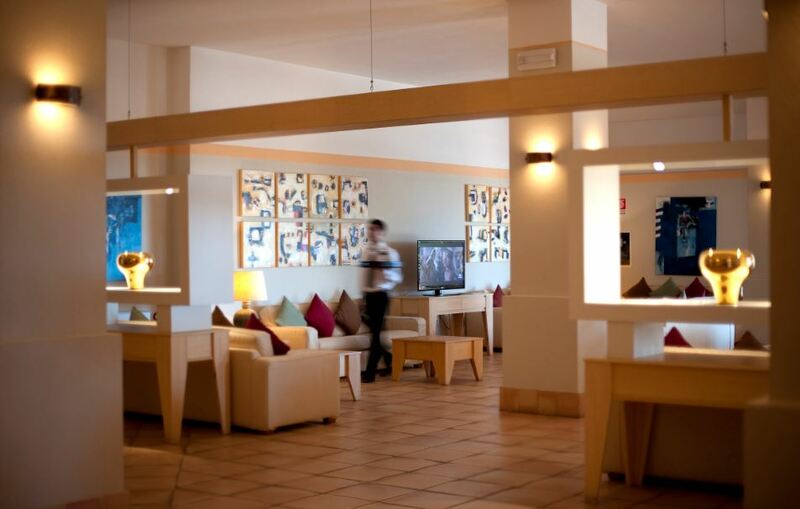 Hotel Spazio Oasi features 34 sophisticated and recently renovated rooms and new outdoor spaces. Guests enjoy full access to the exquisite Oasi swimming pool as well as the Dune di Campana beach, exclusive to the hotel’s guests with its fine white sand surrounded by its wonderful sand dunes, located just 700 metres from the hotel and connected by the Chia Express mini train.